How do I update my contact and profile information? Can I recommend a great post? How do I find resources that have been uploaded by other members? Can I change the order of the library entries I see? Can I download the contents of the library? A: You will use the same username and password that you use to log in to NAPFA.org. You will need to create an account on NAPFA Engage if you do not already have one. (All NAPFA Members have an account automatically created for them.) If you have forgotten your login credentials or need assistance with your login information, click here. A: From your profile page you can edit contact information and a variety of traits. To update contact information click the pencil icons to edit your information. You can also edit via your NAPFA.org My Account link on the Members Only drop down menu. You can also import your information from LinkedIn. This will populate your bio and other fields, which you can then edit as needed. We capture other demographics on your profile in order for NAPFA Engage members to connect and search on topics of interest such as Custodian, Job Title, Professional Interests etc. The more robustly our members fill our these fields the more members will be able to make meaningful connections with other Engage members. A: Go to your profile page, click on the “My Account” tab. 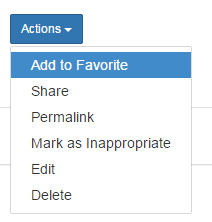 Choose "Privacy Settings" from the drop-down menu. This will let you control what information is visible to whom. After you’ve made changes, click the “Save” button at the bottom of the page. A: There are two ways to add contacts. 1. When you perform a search in the Directory, you will see an “Add as contact” button to the right of each person in your search results. Just click this button to send a contact request. 2. If you click through and view an individual’s profile, you can click the “Add as contact” button under the member's name. A: Creating this virtual address book makes it easy to send your contacts messages through the community site to stay in touch, ask questions or even build a referral network. Additionally, when you view another member’s profile, you’ll be able to see any contacts you have in common. You can also use your privacy settings to allow your contacts to view certain information on your profile that others cannot. Q:How do I send a private message to another member? There are several ways to send a private message. 1. When you perform a search in the Directory, you will see a “Send Message” button to the right of each person in your search results. Just click this button to send a private message. 2. If you click through and view an individual’s profile, you can click the “Send Message” button under the member's name. 3. 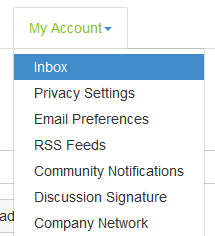 From any discussion email or posting you can select "Reply to Sender" from the Reply drop down menu. Q: Where are my messages? A: To access your Engage Inbox simply click on your profile dropdown and click on the envelope icon indicating the number of unread messages you have. If the icon is not present it means you have no unread messages. You can also access your Inbox via your profile page. Click on the “My Account” tab. Choose "Inbox". A: Communities allow you to participate in discussions and share resources with other members. You will find communities on Engage for committees, study groups and special interest groups who share a common interest or characteristic. Q: Which communities do I already belong to? A: Go to “Communities” in the main navigation bar. You will see "Communities to which I belong or can join" selected. Use the drop down to select "Communities to which I belong" from the drop down menu. A: Go to “Communities” in the main navigation bar. You will see "Communities to which I belong or can join" selected. Simply click "Join," to the right of the community name of the community you wish to join. You will be prompted to choose a delivery option for posts (Real Time, Daily Digest, or No Email). A: Go to “Communities” in the main navigation bar. You will see a button called "Create a New Community." This will open a "Create New Community" page that will prompt you to name the Community, set the viewing permissions, create an affiliated Library and Discussion Group, and invite other users to join the Community. You can find more in depth information on setting up a community in the Community Administrator Support area of Engage. A: When you join a community you will be prompted to set the frequency you prefer. However this can change depending on a variety of circumstances. There are two methods to update your subsciption should the need arise. 1. You can update this at any time via your profile page or the community landing page. On your profile click on the "My Account" tab. 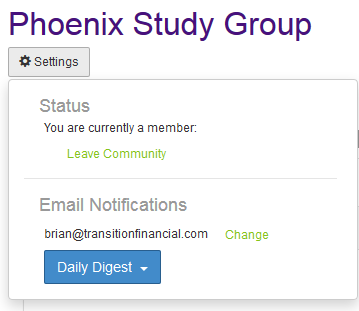 Choose Community Notifications from the drop-down menu. There you will see a list of the communities you belong to and the current notification setting. You may use the Notification drop to down edit your selection. 2. From the community landing page for the community you wish to leave you may click on the Settings Gear and click "Email Notifications" drop down . A: There is sometimes confusion regarding leaving or unsubscribing from a community. If you merely wish to receive fewer emails, but want to be able read the postings and access files in that community what you want to do is change your subscription. If you truly wish to leave the community you will need to go to the community you wish to leave. Click on the Settings Gear and click "Leave Community". A: Click “Reply to Discussion” to send your message to the entire community. 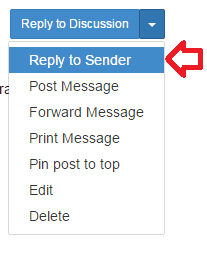 Select “Reply to Sender” to only send your message back to the sender; both links are located to the right of the post. We recommend replying to the sender for simple comments like “me, too” that add little value to the overall discussion; and replying to the entire community when you are sharing knowledge, experience or resources that others could benefit from. A: Go to “Participate" in the main navigation bar. 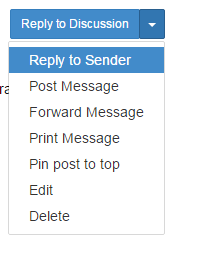 Select "Post a Message" from the drop down menu.Select the discussion group you wish to post a message go, enter the subject and content as you would in your email client. You may attach files if you wish. Then click the blue "Send" button. Q: Can I recommend a great post? A: Yes. To the right of the subject of the posting is a "Recommend" button. Just click that button to recommend a post you found particularly valuable. A: Yes. Enter a keyword in the search bar. 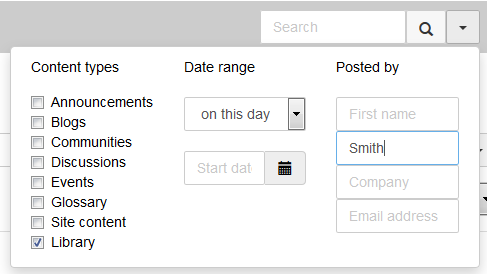 Using the drop down menu to the right of the search window you can filter on content type, date range or posted by. Click on "Advanced Search" for even more options. A: Go to the community's landing page, then click on the “Discussions” tab. If you see a thread you’re interested in, click the subject line which will take you to the entire thread. Q: How do I find resources that have been uploaded by other members? A. Enter a keyword in the search bar. 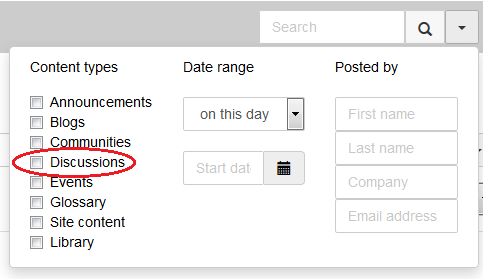 Using the drop down menu to the right of the search window you can filter on content type, date range or posted by. Click on "Advanced Search" for even more options.If you know the member's name you can look at the "Contributions" tab on their profile page. Browse and upload your file. Click "Choose", then click "Upload File(s)" when you chosen all the files you wish to upload into this library entry. 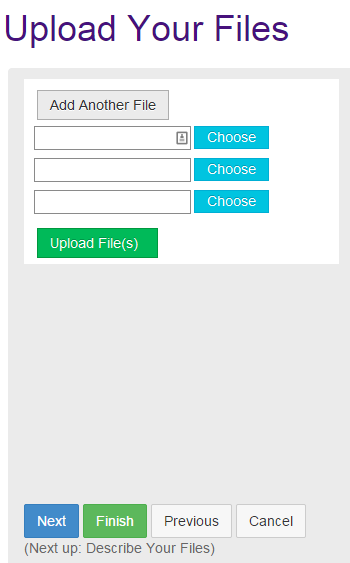 Select "Add Another File" if you need to upload more than 3 files. Click “Next” if you want to add additional information about your file or click “Finish” (you may have to scroll down to access these buttons). Q: Can I change the viewing order of library entries? A: Yes. At the top of the library viewing page is a drop down you can use to select the order or narrow down the view of entries. Q: Can I download library entries? A: Yes. There is a "Download" button beneath the attachments in a library entry If there are multiple files in a library entry you can download one or all of the attachments. Q: Can I comment on a file? A: Yes. Below the attachments is a comment section. Q: How can I bookmark my favorite files? A: To the right of library entry title is a blue "Action" button. Just click that button to favorite an entry you found particularly valuable. A: The libraries are populated in two ways: When you include an attachment in a discussion post, the system automatically places it in the library. 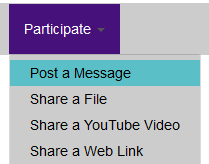 You can also upload documents directly by using the “Share a File” link found under “Participate” in the main navigation or "Create New Library Entry" on any community's library page. Library resources are not required to be associated with a discussion thread.